"Largest selection of high end equipment I have ever seen." With today's ever-changing technology landscape, a robust and secure wi-fi network is a must-have in every home. It's the backbone that not only connects your computers to the internet, but also allows easy streaming and control of your music, movies, lighting and climate. At Wasserson Design, we understand technology as it exists now and also what the future might bring. 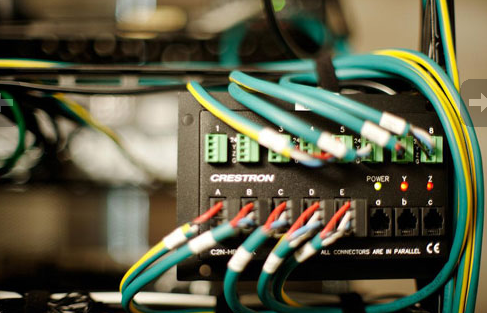 Our experts can take the guesswork out of future-proofing your home, and can provide and install network wiring, audio/video and network infrastructure that will provide value for years to come. With personal computers now almost ubiquitous, every home should have a fast, secure wireless network for checking email, checking in with the office and streaming iTunes and other multimedia. At Wasserson Design, we listen to your goals, understand your lifestyle and provide home network solutions that make it more enjoyable to live in your home. We understand the internet, ethernet and wi-fi technology, and how to implement a network for your home that is fast, secure and trouble-free. The first step in our process is a complimentary Home Technology Consultation, so give us a call at 610-668-8000 to get started. We're looking forward to helping you live in higher definition!